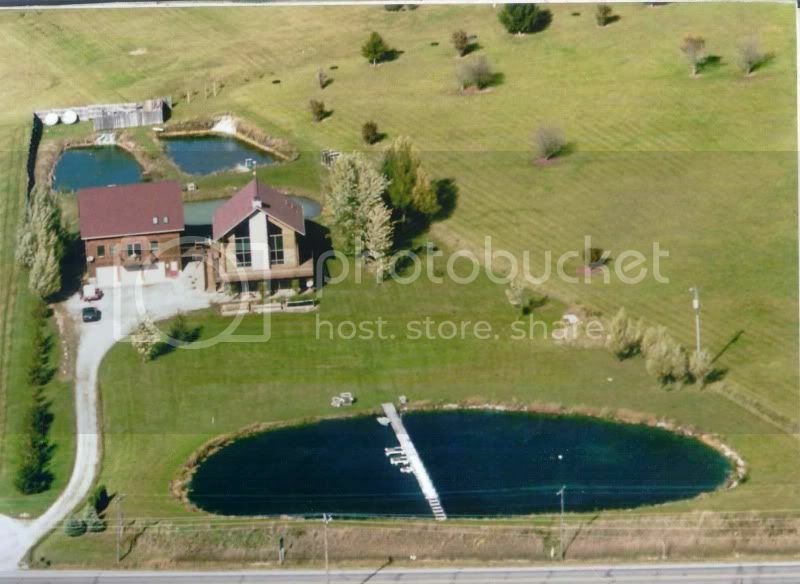 We live on 18 acres in the country and have a small pond (about 100' x 100') that is about 8 feet at the deepest point. There is also an island in the middle. We have 12 ducks that live on our pond. My concern is predators being able to cross the frozen pond and attack my ducks. What is an inexpensive way to keep the pond (or large sections) from freezing, and having predators able to walk on it. Thanks for any advise you have (and my ducks appreciate it also!). P.S. There are NO fish living in the pond. Aeration may help but that will keep you from having a complete surface freeze. I don't think you can keep the whole surface from freezing this way. The only concern I would have is that with only 8 feet of depth you may may the deep water very cold and if the pond is stocked with fish that could kill them. aeration will keep a hole open for the ducks but will not keep the entire pond clear of ice if there is extended cold weather. duck hunters use small agitating gadgets to ripple the surface in their hunting hole in order to keep ice from forming. maybe a few of these thrown out around the pond will help, just a suggestion. if a predator comes after one of your duckies, they would have another hole to take refuge. check Herters (a waterfowl hunting supplier)for the floating shakey gadgets. if you would like to discuss things a bit further, please send me an email (check my profile). I see your from MO, me too. I may be just up the road from ya. I politely disagree. I think a diffuser run by a small compressor in the center of the pond would indeed keep a good size hole open as a refuge for the ducks. Especially as far south as Missouri. Wouldn't have to be a large compresor. I would call the folks at Stoney Creek in Michigan and they can give you good advice as well as sell you a very small compressor, airline, and stone to do the job. You should be able to get by with one of their smallest compressors. The Gast DC 22 would be plenty for your small pond. A Kasco de-icer would probably keep the entire pond or at least most of it wide open, Especially with an island in the middle. I run one on the swimming side on my 150x200 ft pond and it creates a current on the far side and around behind it to form a complete circle. They are specifically designed to keep areas free of ice for boats. How may amps does the Kasco use? The DC22 only uses 1 amp and comes out to about 4 dollars per month according to my local utility conversions. I'll bet the Kasco uses at least 5? That's a least $20.00 per month in electricity. Not a lot of money but still more hant $4.00 per month. If she wants to do it for a little as possible my money would be on the diffuser. Less cost I bet too. I agree with Cecil, considering your location it would not take much in terms of airflow to keep a sizeable hole open in your pond. You might also consider using garden soaker hose as your air-bubble release source, allowing you to keep a long tract of water open. The pump mentioned has enough output to keep at least a 15x15 foot area open in my pond... which sees temps down to, or below -30 Celcius. Owner/Builder of Ottawa Canada's first official off-grid home. http://www.mygamepictures.com - Hosting your outdoor adventure, fishing, hunting and sports related pictures!